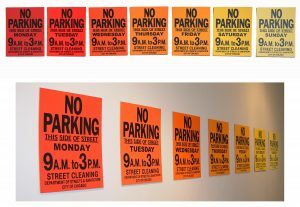 This March, Curator, Lynnette Miranda will present her second exhibition as Charlotte Street’s Curator in Residence, Sensible Disobedience: Disrupting Cultural Signifiers in a Neoliberal Age. The exhibition will run Friday, March 10 to April 22nd. Join us for the opening reception, Friday, March 10th, 6-9PM at la Esquina. For photos of the event, check out our flickr. 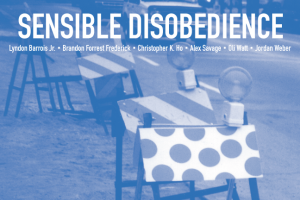 Sensible Disobedience considers the way images, words, symbols, and signs—forms of representation—inundate public and private spaces and shape personal experience in the age of neoliberal capitalism. 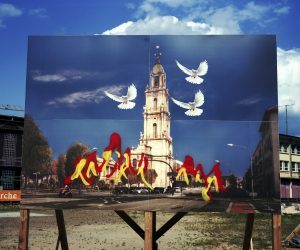 More specifically, the exhibition investigates semiotics, the study of how meaning is created and communicated through signs and symbols, and the politics of representation in contemporary society. 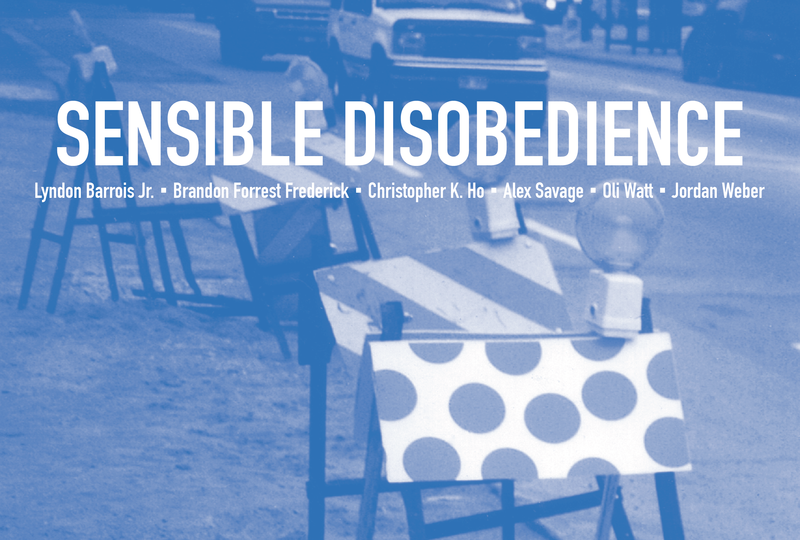 The works of Lyndon Barrois Jr., Brandon Forrest Frederick, Christopher K. Ho, Alex Savage, Oli Watt, and Jordan Weber, examine the relational and social role of representation through subtle modes of interruption and disruption. 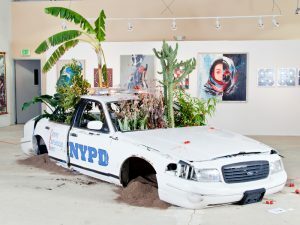 Through interdisciplinary artistic practices, these artists consider what is represented in contemporary media, the ways images and objects infiltrate our daily experience, and how cultural assumptions inform the navigation of a world heavily mediated by the screen. Make a collaborative Rube Goldberg machine with Brandon Forrest Frederick. Join a discussion about trickling down, and learn about his interdisciplinary practice as an artist, educator, and organizer. Celebrate the 5 year anniversary of What’s Good?, a late-night talk show in the mid-afternoon hosted by Alex Savage featuring many special guests. Click here to learn more about Lynnette and Charlotte Street’s Curator-in-Residence Program. Names appearing in orange are ArtistsMATTER Society members. An * denotes in-kind support. Linda and J.H. Johntz, Jr.
Sign up to get interesting art news, events, and updates delivered to your inbox.